Location and staff are amazing. Plentiful parking. Comfortable bed. Clean hotel with a great atmosphere. Would recommend to anyone under the age of 40! Excellent staff and rooms are great. Would definitely stay here again! I loved how the front desk guy tried so hard to solve my concerns. Everyone was extremely polite. Evvery nice and secured. The view was great, the staff we ran into were very polite and sweet. The only bad thing was but it wasn't the hotel fault was the traffic and construction around the hotel. Had to wait 20 minutes for someone to come check me in. Property is run down. The best way to get to know Downtown Orlando may be through its top attractions. Among these are Harry P Leu Gardens, Lake Eola Park, Orlando Museum of Art, Orange County Regional History Center and Orlando Citrus Bowl—all of which are compelling reasons to visit. Need a place to kick back after all that sightseeing? 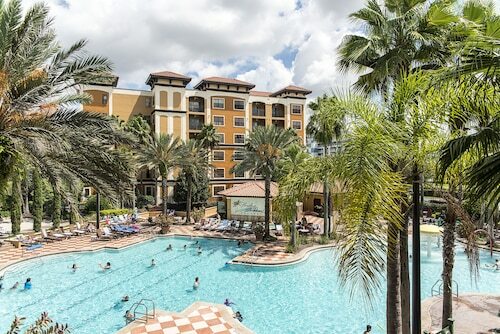 Downtown Orlando also has 20 hotels, which rate highly for Hotel Staff and Location, meaning they offer more than just a comfy bed to snooze in. Orlando International Airport is the main hub for flights into Downtown Orlando and the surrounding area. If you're hitting the theater, planning a noteworthy night on the town or just hangkering for some shopping while in Downtown Orlando, you're in luck. You can pick up a new outfit or two at Ivanhoe Plaza and Church Street Market. Find the perfect accessories or gifts at XXI Forever and Forever 21. Whether you've broken your headphones or simply left them at home, Apple Store may have exactly what you're looking for. Don't go without your favorite tunes — pick up some new headphones and other gadgets in Downtown Orlando and enjoy that long trip home. Take a load off — or maybe discover a new favorite restaurant — in Downtown Orlando. The dining scene here features popular eateries like Citrus Restaurant, Java Lava and IHOP. 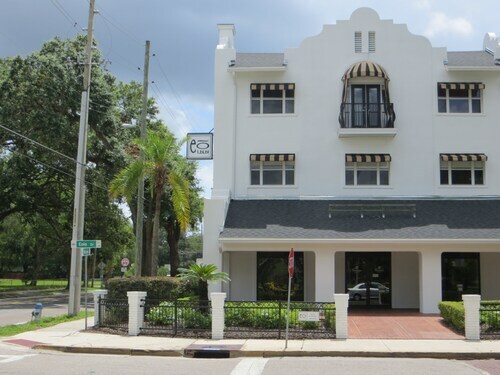 While getting to know Downtown Orlando, tour the exhibits at Orlando Museum of Art, Orange County Regional History Center and The Charles Hosmer Morse Museum of American Art to get your culture fix. The quiet corners in Orange County Library System (FL) - Orlando Public Library are an oasis for reading and a little quiet getaway. Downtown Orlando is the home of Florida Interactive Entertainment Academy (FIEA) and Concorde Career Institute. Catch a game or event at Orlando Citrus Bowl and Tinker Field. Here, you can enjoy some classic American eats and entertainment. See a film at Plaza Cinema Café 12, scarfing down some snacks while the story playing out on the silver screen makes you laugh, cry or root for the good guys. If you're feeling the need for a little relaxation while in Downtown Orlando, head to TSecret, where the attentive staff will pamper you from head to toe. 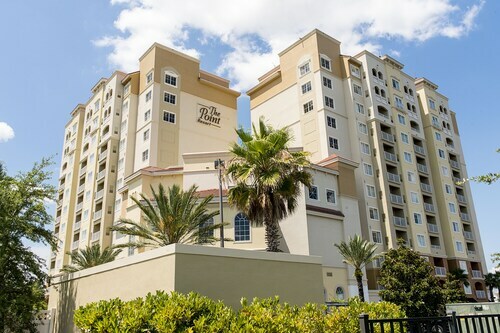 If you're planning a trip to Downtown Orlando, consider visiting in August, September and July. Orbitz offers great deals 365 days a year, but during these months, you'll save the most — 25%, 21% and 19%, respectively.